January 10, 2017 0 comments on "[Part 3] How to Create the Best Amazon Affiliate Sites from Scratch"
You’ve done your research, you’ve learnt about affiliate marketing and now you’re ready to build one of the best Amazon affiliate sites. Here’s the information you need to take you through the process. Let’s see how to create one of the best Amazon affiliate sites. So you have made up your mind about how awesome it is to become an Amazon affiliate, and have decided to take your first steps into becoming the best Amazon affiliate that you can by following up the advice revealed in our previous articles. In this respect, you started looking for a good niche that you would enjoy promoting and started navigating the Amazon marketplace up and down in order to find the best and most profitable products that Amazon can offer to its affiliates. But now the time has come to start tinkering with the technical aspects of getting your Amazon affiliate business up and running, and we are talking about creating your Amazon affiliate website with a few clicks. Even though this may sound like a challenge, it is easy and makes sure you create one of the best Amazon affiliate sites possible when you’re new to it. Many people would be tempted to leave this job to someone else, but in this article we are going to show you how easy it really is to set up an Amazon affiliate website on your own, using popular, easy to use and budget friendly online tools. What are the benefits of creating an Amazon affiliate website? What do you need to create one of the best Amazon affiliate sites? Creating one of the best Amazon affiliate sites from scratch is a very easy process when you know how to do it. Many people have to sort that out on their own, but in this article we are going to show step by step how to do it and where to find everything that you need in one place. When you’re attempting to build one of the best Amazon affiliate sites possible, you need to start with a good domain name. A “domain name” is simply a string of characters that websites use as their website addresses that you type into your web browser to access. Ideally, your domain name has to resemble your niche, and using keywords related to it to create your domain name will help your Amazon affiliate website rank on top of search engine query results. To get your domain name you have to buy it from a domain vendor. We recommend you to use “hostgator.com” because you will be able to also buy everything else that you need to create your Amazon affiliate website from there. Start by going to the “domains” tab and type your domain name in the “choose your new web address” bar and click on “search” to check its availability. Make sure you put some thought into this process. You need to be happy with your choice and this will make it easier for you to build one of the best Amazon affiliate sites if you’re enthusiastic about it. Once you find a good domain name available add it to your cart to buy it before someone else does! Awesome, now that you have a great domain name, you need hosting for your website. Hosting service is space on an internet server to upload your website and make it available to visitors from around the world. In order to build one of the best Amazon affiliate sites possible, you need reliable hosting. You can buy excellent hosting service from “hostgator.com”. Go to the “web hosting” tab, where you will find three different hosting plans available: “hatchling plan”, “baby plan” and “business plan”. We recommend you to select the “baby plan”. This one will give you more for your Amazon affiliate business because it will allow you to use it for unlimited domains, to use one click installs and unmetered bandwidth. Click on “sign up now” to check out and get ready to start building your Amazon affiliate website in the following step. You will need a website builder in order to create one of the best Amazon affiliate sites possible and in the fastest way. Luckily, hostgator provides a nice selection of website builders for you to choose from. Simply login to your hostgator “cpanel” after you buy your hosting plan to install your website builder. WordPress is our website builder of choice, as well as the choice of a million other Amazon affiliates, because it is very easy to use and allows for simple yet powerful customization for your best Amazon affiliate sites. Why do we love WordPress so much? You can easily install WordPress on your Amazon affiliate website from your “hostgator” “cpanel” by clicking on “WordPress 1-click installation”. Once you do, you enter your site’s set up information. First you have to select a domain from your domain list in the “select domain for installation” menu and then enter the name of your site’s directory in the field next to the domain menu and click on “next”. Now you have to enter your admin info. Start by entering the name of your site in “blog title”, then your admin user name in “admin user”, which is the username that you will use to login to your WordPress site as the administrator. Now enter your “first name” and your “last name”. Lastly, enter your “admin email”, which will be the main email address that you will use to manage your Amazon affiliate website. Once you enter all your information check the “terms of service agreement” box and click on “install”. A progress bar at the top of the screen will let you know the progress of your WordPress installation. The “installation complete” message will appear on top once WordPress is installed on your Amazon affiliate site. Here you will also have the credentials to login to your WordPress account, from where you will be able to manage your new Amazon affiliate website. Copy and save your “username” and your “password”. You’re on your way to having one of the best Amazon affiliates sites you could possible build. To login to your WordPress dashboard simply add “/wp-login.php” at the end of your WordPress site URL in your web browser. Now enter your username, your password and click on “log in” to login to your new WordPress dashboard for the first time. You are now inside your WordPress dashboard, and it is time to start setting up your site so you can later stuff it with awesome Amazon affiliate product oriented content. Your Amazon affiliate website is bare bones the first time that you install WordPress, so the first thing that you have to do is find a nice affiliate oriented theme for your site. To make one of the best Amazon affiliate sites, which Theme do I use? Choose a theme. You can do this by going to the “appearance” tab and selecting “themes”. Look for free affiliate oriented themes by clicking on “add new theme”. To do this, you can use the “search themes” search bar to find themes for affiliates, and we recommend to get started by installing a free theme such as the “reviewgine affiliate” theme, which is a widely used free theme used by many successful affiliates. Simply hover over it and click on “install”, and then on “activate”. Now your site has been installed a nice affiliate theme that you can edit by using the “customize” button. Here you can see how cool the theme looks, making it easy for visitors to find what they are looking for and then some more. You can add pages for content categories by using the “pages” tab in your dashboard and clicking on “add new”. Here is where you will create pages to promote your affiliate content. You can enter the title of your promotional pages in the “enter title” field, and the description of the page in the text field below. You can use the “add media” button to insert images and links within the content of your pages. Use the “featured image” section to insert the image that you are going to use as the main image on your pages. Once you are ready to publish a page to post product oriented content simply click on “publish”. Now to add content to these pages you have to use the “posts” tab on the left side menu. You click on “add new” and you go to an editor. You’ll see similar features on the “pages” editor. You will have a “title” field to title your content posts, a text field to enter your written content, the “add media” button to insert images, videos and links within your product posts, a “format” box, a “categories” box to select a category for your posts and a “tags” box to insert tags to make it easier for people to locate your posts using keywords. Use the “publish” button to publish content here as well! This is how you will be adding content to populate your Amazon affiliate website. You’ve now got the basis of one of the best Amazon affiliate websites you could create. Keep going! Ok, so you did your job and you created one of the best Amazon affiliate sites you could. And now the time has come to fill it with products to promote. You are more ready than ever because we just showed you how to do it the right way. You get your affiliate links as an Amazon associate by creating an Amazon associates account. You will only need your website information at hand and an Amazon.com account to get started. Start by going to the Amazon homepage, scroll down to the “make money with us” title and click on “become an affiliate”. Now click on “join now for free”. Sign up using your email address and click on “sign up using our secure server”. The first set up step is to enter “your account information”. You enter the “payee information” to receive funds from your Amazon affiliate website. By default, the info here will appear as your own personal info, including your full name, your address and your phone number, but you can change it by clicking on “select different address” if you want someone besides you receiving the funds made on your associates account. In the “who is the main contact for this account?” you can select “the payee listed above” or a different contact selecting “someone else”. Now click on “next” to go to the “your websites and mobile apps” section. Here you have to enter at least one website or mobile app where to display your Amazon affiliate links, and you can add up to fifty. So simply enter your site’s domain name in the “enter your website” field and click on “add”, then click “next”. Websites or apps that are directed primarily to children under the age of 13 are not eligible to display Amazon affiliate links, so check the “no” box here and click on “confirm” to continue. In the “profile” section you will create a profile for your affiliate websites. 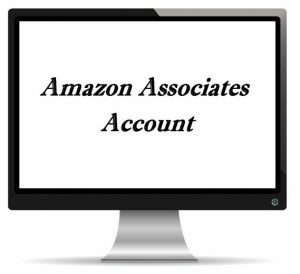 In the “associates store ID” enter a simple name that you can remember, as this will be your Amazon associate ID. Now enter brief description of your affiliate website in the “what are your websites or mobile apps about?” field. In the “which of the following topics best describes your websites or mobile apps?” display boxes, select a primary and a secondary category. In the “what type of Amazon items do you intend to list on your websites or mobile apps” part, check all the possible product types that you plan to promote on your site. 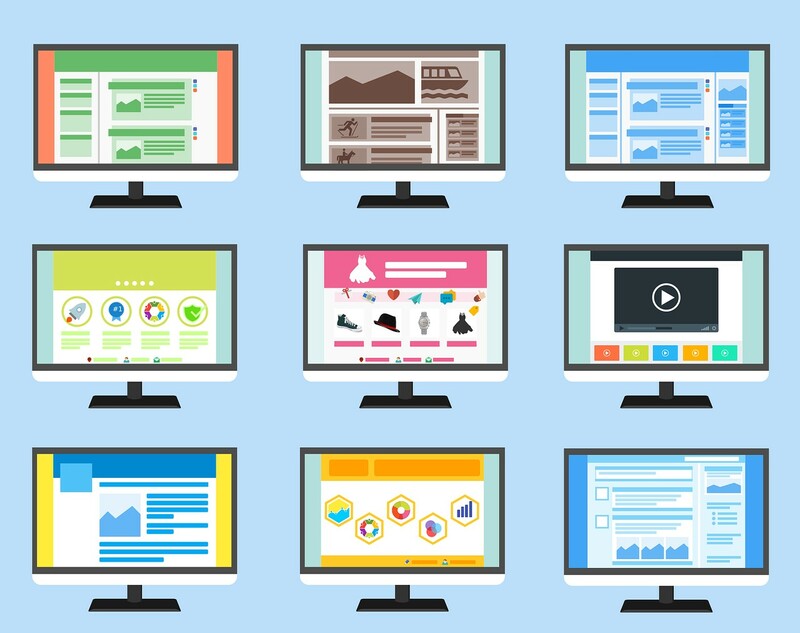 In the “what type are your websites or mobile apps?” display boxes select “content or niche website” as your primary category and a secondary category of your own choice. Let’s now move to the “traffic and monetization” section. In the “how do you drive traffic to your websites?” section, check all the options that best describe your traffic sources. In the “How do you utilize your websites and apps to generate income?” boxes select what other types of monetization strategies are integrated into your Amazon affiliate websites, such as “display advertising”. Select “Amazon associates is the only way I monetize my site” if you only use the Amazon associates program to monetize your site. Fill the information required in the “How do you usually build links?”, the “How many total unique visitors do your websites and apps get per month?”, the “What is your primary reason for joining the Amazon Associates Program?” and the “How did you hear about us?” sections to finish here. Now enter the security code provided and click on “next” to move to the next section. You’ll get a confirmation informing you that your identity verification has been completed. Check the box under “contract terms” to accept the operating agreement, then click on “finish”. Congratulations! You are now ready to start using associates central! Ok, so you are all set up now: you picked up your niche, you selected a bunch of cool products to promote. You’ve created one of the best Amazon affiliate sites the easy way, and you’ve already set up your Amazon associates account. Now it is time for you to learn how to funnel people from your content all the way through the Amazon marketplace to get them to make you affiliate money there by using the Amazon affiliate links. You see, you will not make money as an Amazon affiliate only by sending your visitors from your affiliate to Amazon, because Amazon needs to know when a customer was sent from your site to the marketplace in order for it to pay you your corresponding commissions. And to do so, Amazon uses affiliate product links, which are product page URLs specially designed to track people clicking on the affiliate links on your site, so let’s show you how to get your affiliate links and how to use them on your site. You’ve built one of the best Amazon affiliate sites possible but now you need to look to Amazon to understand the sitestripe. There is a really easy way to get your affiliate links without you ever having to leave the Amazon marketplace. Simply look for any product on the Amazon marketplace by navigating through categories or by using the search bar, all while logged into your Amazon.com account. Click on the product to access the product page. Now look for the “Amazon associates sitestripe” bar on top. 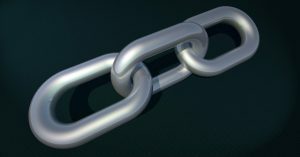 You will be able to get your affiliate links from where it reads “get link”. You can get “text” link, “image” link, “text plus image” link and links to share on Facebook and twitter. Click on “text” and you will get both a “short link” and a “full link” to insert on your site. Click on “image” and you will be able to get an image link. Here you can select whether to get a link to a small sized image, a medium sized image or a large sized image. You can preview the image link as it would look on your site. Click on “text plus image” and you will get an affiliate link that will feature the full offer on your site, just like it would appear in the Amazon marketplace, which is awesome. You can choose to open the link on a new tab and also to feature your affiliate link with or without a border. You can preview how the affiliate link looks on your site. Lastly, you can click on the Facebook icon and click on “post to Facebook” to share your affiliate link on Facebook, and you can click on the twitter icon and click on “tweet” to share your affiliate offer on twitter. You can also get affiliate links by login into your Amazon associates account and going to the “product linking” tab. There click on “product links”. Use the search bar to enter a keyword or ASIN number to locate products and click on “go”. A list of products will appear below. Locate the one that you intend to promote and click on “get link”. You can simply copy the URL from the box or click on “build link” to customize your affiliate link to your liking. Inserting affiliate links into your content is really easy. If you’re aiming to create one of the best Amazon affiliate sites you can, then you need to know about inserting your links. You can start by inserting your affiliate links into your posts by clicking on “add media” and then on “insert from URL” to test this feature, but the appropriate way to do it is by stylizing your affiliate links. You can insert your affiliate links on text within your content by clicking “add media”, selecting “insert from url”, entering your affiliate link text in the “link text” field and then on “insert into post”. Image links and text links with images are also very easy to insert and will convert like crazy. Simply copy the image link url and paste it into your content by going to the “add media” button, then to the “insert from url” section, pasting the affiliate link in the url field and clicking on “insert into post”. We recommend you insert it in between paragraphs where it could be relevant. And that is it! This is how you insert affiliate links to link to affiliate products that will make you tons of affiliate money! We are pretty sure that you are stunned by how easy it is to transform something so simple as a product oriented website into a money making machine when you simply employ something like the Amazon associates program. And we are also sure that some of the stuff offered by the Amazon affiliate platform has taken you by surprise, and we are not done yet! In this chapter you are going to learn what are the “Amazon native shopping ads”. What are the Amazon native shopping ads? Amazon Native Shopping ads are ad units similar to those featured by other ad networks such as Google AdSense. These native shopping ads will generate the same kind of affiliate income that affiliates generate, and you will be able to use it on pages where no Amazon affiliate links are featured. When you’re creating one of the best Amazon affiliate sites you can, it pays to include native shopping ads. You can easily find these native shopping ads by logging in to your Amazon associates account. Once logged in go to the “product linking” tab and click on “native shopping ads”. Scroll down and use the “create ad unit” menu to display each native shopping ad type unit available. Let’s start with “recommendation ads”. These types of native shopping ads will be displayed on product oriented pages to show specific product recommendations to your visitors. The recommendations shown by these ads will depend on what is being promoted on your pages and your visitors’ purchasing habits. To create a “recommendation ad” enter a name for your ad, then choose between two ad formats: “grid” or “list”. Now you choose which categories to showcase with your ads. You enter a fallback keyword. The keyword is used when no product matches are found. Remember to always click on “save and view ad code” when you finish editing your “recommendation ads”. Now let’s select “search ads” from the “create ad unit” menu. These types of ads will show products to your visitors according to the type of products that they search for in the Amazon marketplace. Here you’ll have to pick an ad format, to specify a category and to enter a default search term. Copy the “ad code generated” and paste it into your site’s code. Now let’s check “custom ads”. Custom ads are similar to product page links because you are the one that selects which products to show on these ads, and they work great for product oriented pages promoting products that don’t necessarily lead to an affiliate link from anywhere on the page. These ads are easy to set up, simply select your preferred ad format, select a category, and then select a minimum of 4 products to show on the ads. You can preview each ad to get an idea of how they will look on desktop or mobile devices. “Customs ads” will also allow you to directly copy the “ad code” from the ad editor page, so you just have to insert it later into your Amazon affiliate website! Now that you’ve created one of the best Amazon affiliate sites you possibly could, next we’ll move on to the best way to promote your site. ☑ Did you miss Part 1 and Part 2 of this four-part series on learning how to become an Amazon affiliate? Click the links to go to each part. 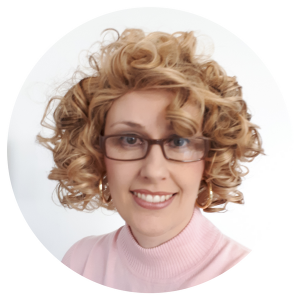 In the spirit of full disclosure, any links on MitzyThompson.com may be affiliate links and if you click a link and make a purchase we may receive a commission at no extra charge to you. Copyright © 2019 Mitzy Thompson. Powered by WordPress and Themelia. This function has been disabled for Mitzy Thompson.